For a landscape photographer that often stays off the comfort zone, it’s important to optimize not only the clothes but also the gear for the area. Today, I show you, how to prepare the tripod for the use on icy or eroded undergrounds. 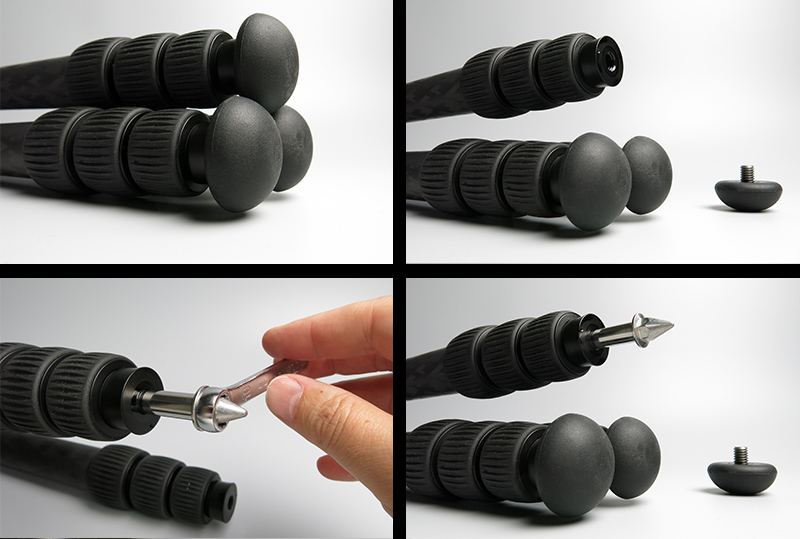 The most ordinary tripods on the market have bolted rubber feet. Some manufacturers offer spikes already in the basic version, hidden in the retractable rubber feet. The manufacturer of my tripod provides spikes for replacement. Although the use of spikes is basically not a secret, this accessory is often rather expensive. Anyway, when I purchased my new tripod in the U.S. I didn’t want to disburse money for it. So I had a rummage for a cost saving – and found one. Really Right Stuff’s tripods provide a 3/8 inch thread on the tripod legs. Anyone who owns a Manfrotto, Gitzo or a similar tripod should check the thread size exactly. In metric dominated continental Europe and in some parts of Asia metric threads could be built in as well. Searching for inch screws led me to Pro Bolt an English trader for motorcycle accessories. Pro Bolt also runs a German online shop belonging to a retail store in Dusseldorf. This 3/8 inch spikes fit on a Really Right Stuff tripod. The same screw type with metric threads can be found here. 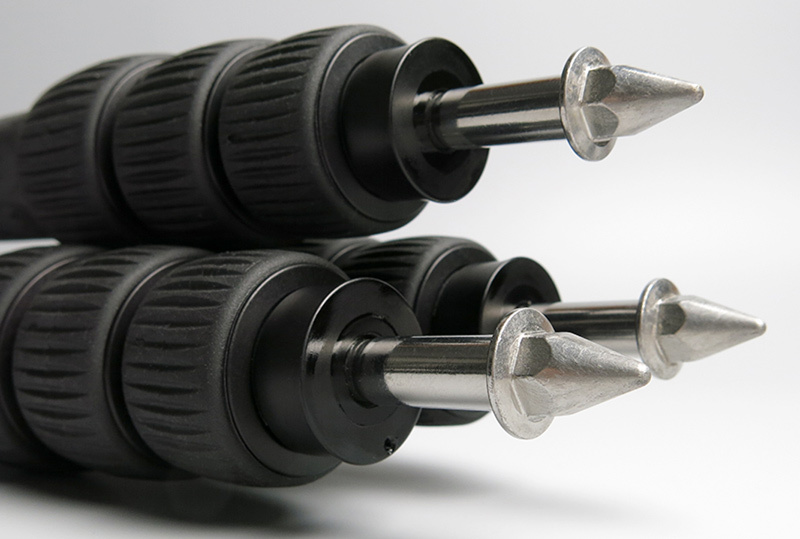 The assortment of high quality screws is very extensive. If a special size or length is required, you can just ask. The service was very professional, prompt and friendly. Maybe you will find screws here for a completely different application here too. Thus it could be worthwhile to save this store to your browser’s Favorites. The installation of new spikes is very simple. Just twist off the rubber feet, put spikes on using a wrench. That’s it! 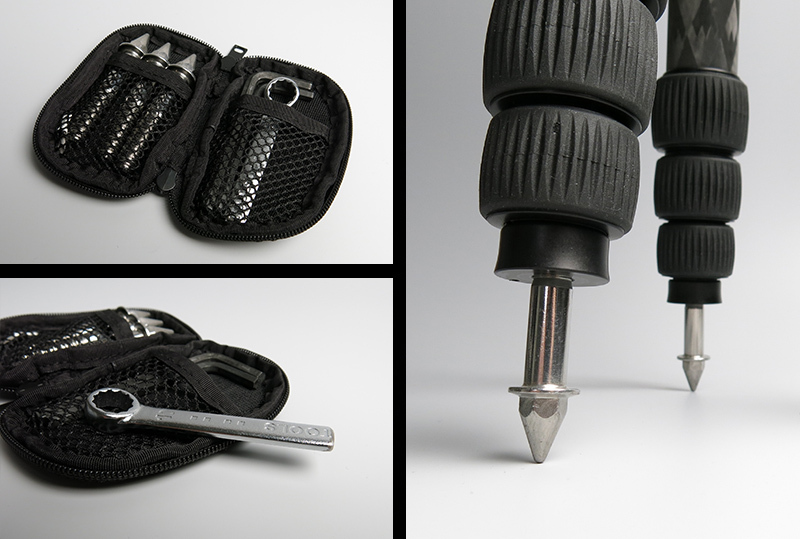 In order to keep everything in order and to prevent the loss of single screws or damaging other equipment, I store it in a small pouch, together with the most important tools for my tripod and a customized wrench. Even after years of intensive use, in icy Norwegian winters the screw still look brand new. It really seems to be to high-quality, corrosion-resistant material.